On an island where everyone is a warrior, only the strong survive. The Impossibles, a squadron of inexperienced soldiers, have been recruited from across the globe, tasked with the directive to train, fight, and win the ultimate victory in Fortnite’s Battle Royale. 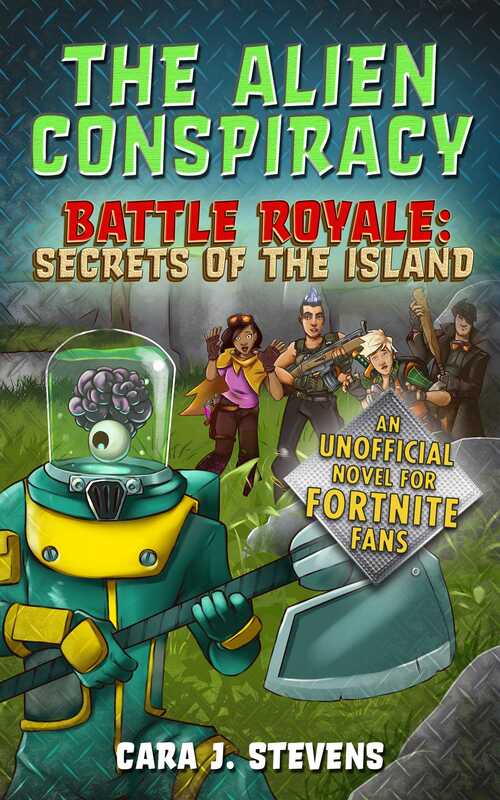 In this series of Fortnite novelizations, follow Zane, Jax, Asha, Jin, and Blaze as they seek out adventure, uncover mysteries, and battle to become the ultimate winners of the Battle Royale. The second book in this exciting new series, The Alien Conspiracy, leaps into their second thrilling adventure: Jin has always had his theories about what is happening on the island, but now it turns out they may not be that far-fetched after all: the mysteries from outer space and the comet, the rocket, and The Visitor—alien or impostor?